So mother's day is next weekend already! I have started to sell my cards at my desk at work. I put them in alittle basket on shelf. There are lots of guys around me so I am trying to start stocking up on my Mothers Day cards! Here is the first one with many coming this weekend. The owls are from Stamping Solutions. Thanks for visiting today! :) Have a great day! Card and matching Notepad I made using my Cricut and Gypsy. The Deer is from Create a Critter and the background shape the Deer is on is from Gypsy wanderings. "You Are Deer" is a stamp from cleardollarstamps.com and I used a SU word punch to punch it out. I also used a martha stewart border punch on the card. Here is the notepad.. tutorial available! Click on the "Tutorial" page right below my header. I made these cards for three challenges- Practical Scrappers "buttons" and Pile It On "anything sweet" and Cupcake Craft Challenges "don't be square". They are cut from the Sweet Treats cartridge using the card feature. 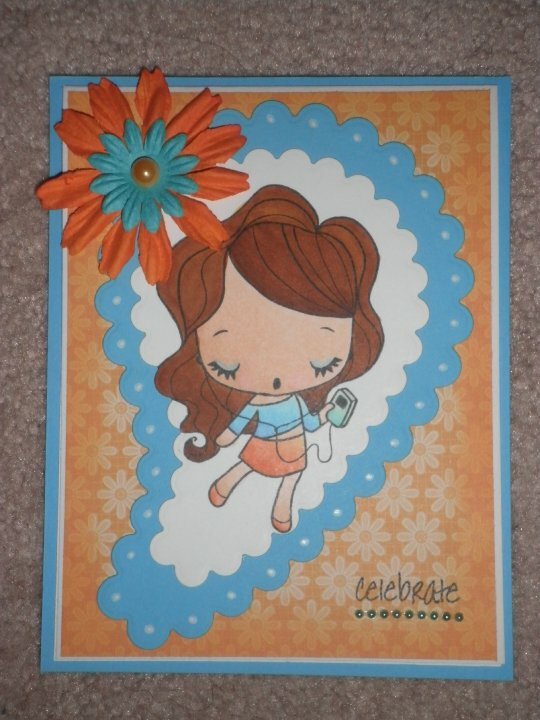 I embossed the cupcake wrapper with my cuttlebug and inked it with light brown ink. This weeks challenge over at the Fantabulous Cricut Challenge blog was to create a mothers day project. I decided to make a nugget box. This box is cut from Tags Bags Boxes and More and holds 8 hershey nuggets which I covered with coordinating paper. 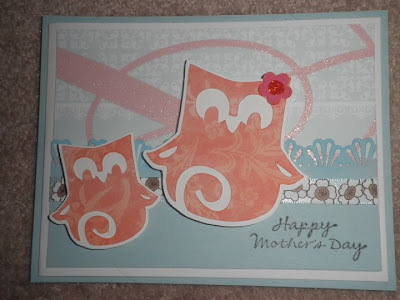 The bird is from Create a Critter and "happy mothers day" is a stamp. Make sure to check all the other Mothers Day projects out at Fantabulous Cricut! This weeks challenge over at Cricutters Anonymous is to create a picnic themed project. When I think of picnics I think of watermelon. This is a watermelon shape card. I welded two watermelons together on my Gypsy. The watermelon and bug is from doodlecharms. 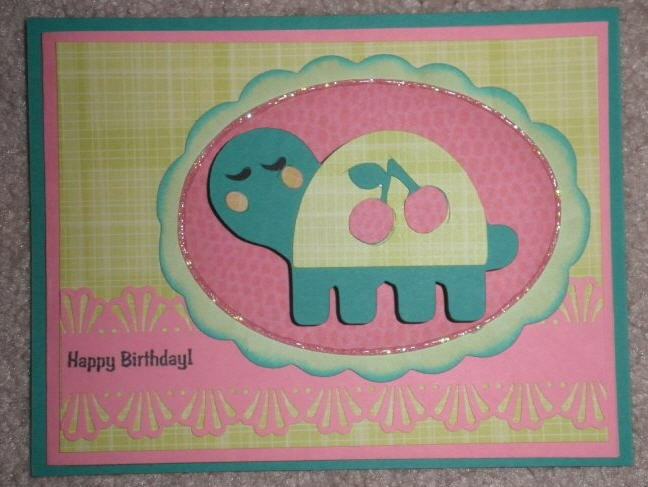 "Thanks a melon" is from a stampin up set and I cut it out with my spellbinders nestabilities. 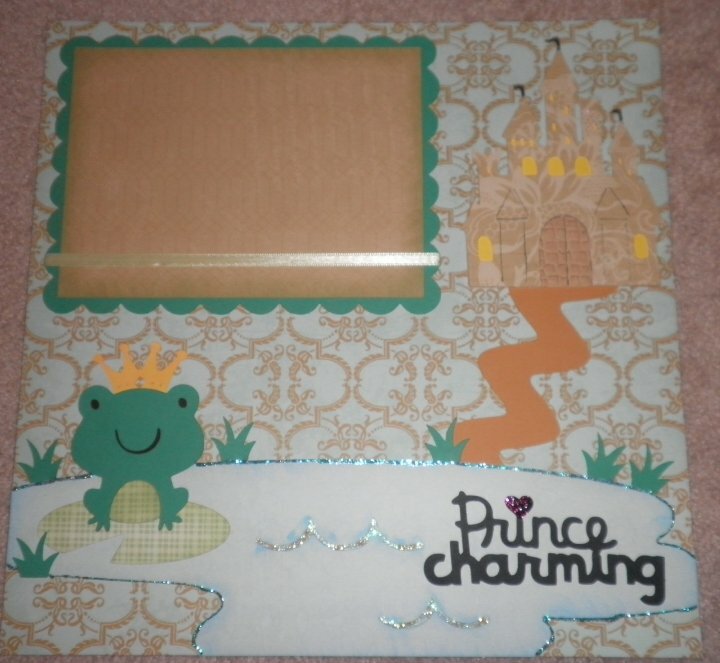 Rach over at The Paper Crafting Place totally got me hooked on these cute images from The Greeting Farm! I also loved the layout of her latest card so I had to try it out. So here is my first card with them. This is Cheeky Rockabilly. This card is 5x5. After I stamped and colored her with my copics, I used my nestabilities to cut her out with my cuttlebug. 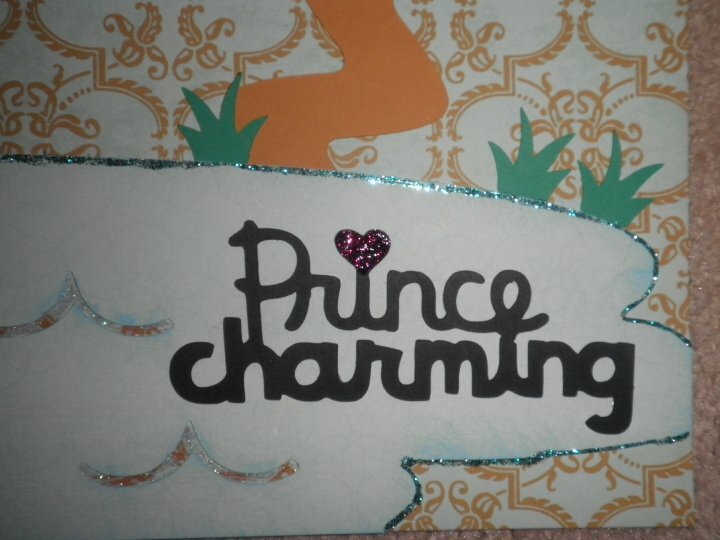 So other than my coloring skills I love the way this card turned out. Can't wait to play with my other two stamps tomorrow! Challenge #6- "Winged Theme" create a project that includes something that flys (butterfly, dragonfly, bird etc..). I decided that I wanted to do something alittle more challenging so I decided to make a 12x12 single page layout. All paper is DCWV. I used lots of cartridges for this layout! Make sure to check out all the other designers and submit your project over at Fantabulous Cricut Challenge Blog! I've been getting lots of interest in my Post It Note booklets so I decided to make a tutorial for everyone!! Step 1: Cut your thin printed paper 5 by 8 inches and 3 by 6 1/2 inches. For the 3 by 6/12 paper, cut just under those dimensions. Also, I use the thin printed paper because it folds much easier than the thicker paper. 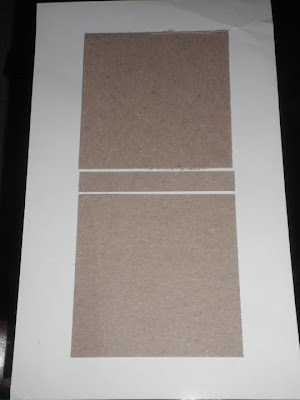 Step 2: Cut your thin chipboard/cardboard two 3 by 3 pieces and one 3 by just under a 1/2 inch. See my picture below to see exact dimensions for the 3 by 1/2 inch size. Step 3: Lay your cardboard out on your paper like the picture below and then glue it to the paper. Make sure your print is facing down. Leave a little bit of a gap between the cardboard so you can fold it. Step 4: Fold and glue the sides of the paper like the picture below. I glued the long sides first and then cut alittle bit of the corners off and then glue the tops. Then bend at the lines. Step 5: Glue your other paper on top and fold again at the lines. Step 6: Remove the back of the post it note. Cut your red tape and add it to the sticky part. Then remove the red peel. Step 7: Position your post it note along the bottom fold. Make sure not to put it exactly on the line otherwise it won't fold properly. (optional) Step 8: Decorate! I decided to cut the Seal from Create a Critter and a background from Gypsy wanderings. I positioned it all on my Gypsy so I can cut it all at the same time. I like to cut two of the same image at a time since I already have all my paper out. I usually make a matching card with the same paper or just put the image aside for another project. Step 9: I love my gypsy. It allows me to cut everything at the same time. I put all my paper down on the mat and have to load it only once! And hear is the finished project! Enjoy!! Happy Friday! This weeks challenge was April Showers: Create a spring themed project. Well I think this qualifys for spring with the colors and the flower. The boy is from A Childs Year, flower is from Walk In My Garden and the design behind the boy is from Gypsy Wanderings. I stretched it out on my gypsy. 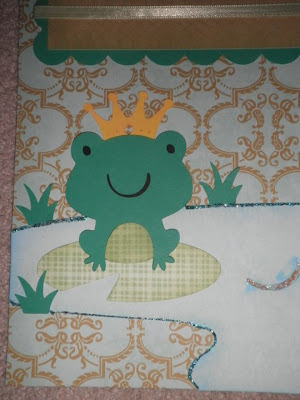 I made this card for this weeks Cricut Cardz challenge. This weeks challenge is to make a get well card. I wanted to stay away from the usual get well soon or get whale soon cards. So after asking my husband a couple times he assured me "Keep On Trunkin" could be used for a get well card. 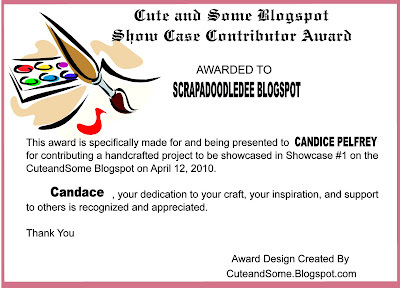 Stamp is from cleardollarstamps.com (one of my FAV stamp stores). The elephant is from create a critter. I've been seeing alot of people do their critters in print instead of solid card stock so I wanted to give it a try and I LOVE the way he turned out. This weeks BBTB2 challenge was to use the rick rack cut from Plantin Schoolbook. I used it here as the path from my castle to the pond. The castle is from Paper Doll Dress Up and everything else is from Create a Critter. My nephew's 8th birthday is coming up in May so my sister in law asked him what theme he wanted and he said he wanted a red T-Rex dinosaur theme. Here is the invitation that I came up with . I used my gypsy to design it. The T-Rex is from create a critter. This is 4.25x5.5 so it will fit in a normal envelope. I think I'm going to change the leaves to a different color green so they pop alittle against the green circle. Also might change "let's party" to something else. What do you think? Here is a shot of the inside which will have all the birthday party details.